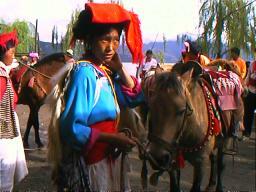 More Mosuo Women than men own ponies in this matriarchal society. Lugu Lake, Yunnan. 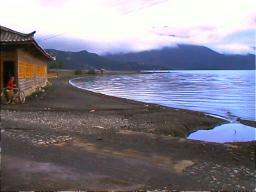 Mosuo home on lakeshore. Lugu Lake, Yunnan.